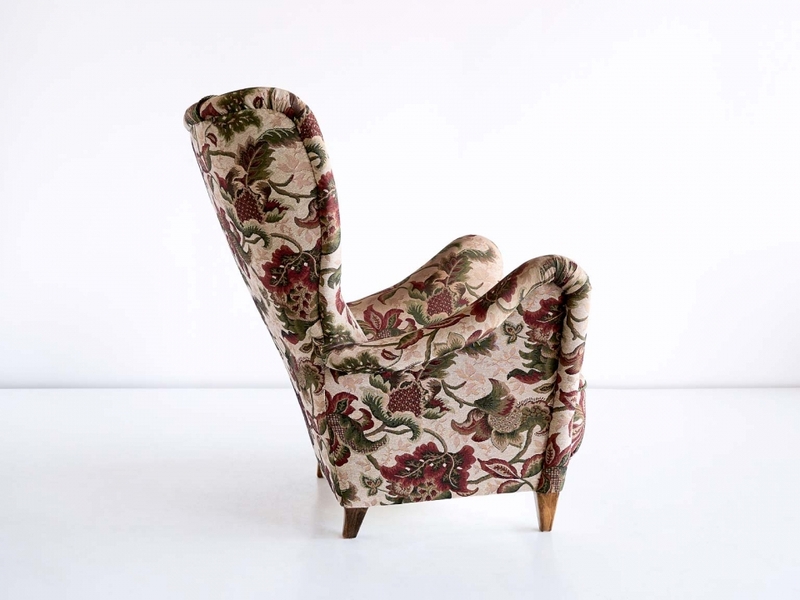 This rare wingback chair was designed by Otto Schulz and produced by Boet in Goteborg, Sweden in the 1940s. The elegant organic lines of the design create a striking silhouette. Its generous proportions and the high back make this a sumptous and very comfortable armchair. 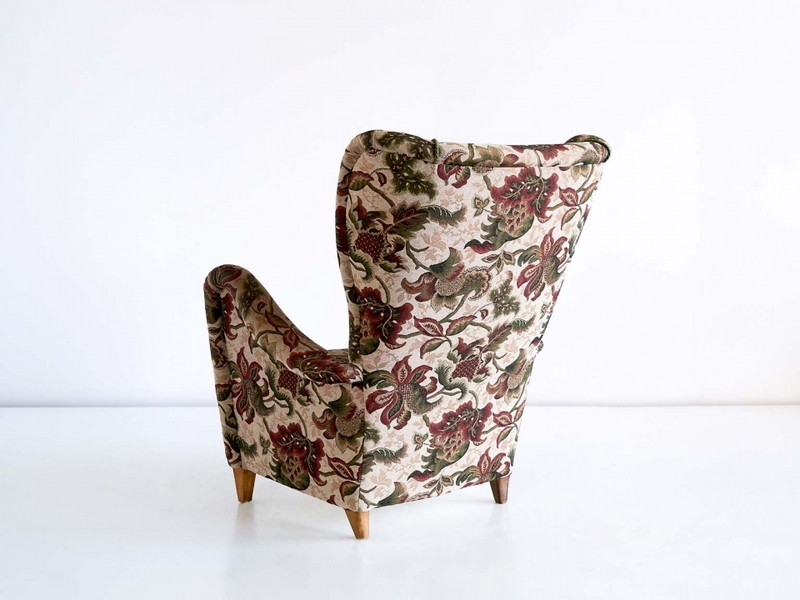 The original floral upholstery has been preserved well. If desired, the chair can be reupholstered in the fabric of your choice. Literature: Arvid Berghman (ed) Boet, 1945, ill. p 48. Condition: very good. 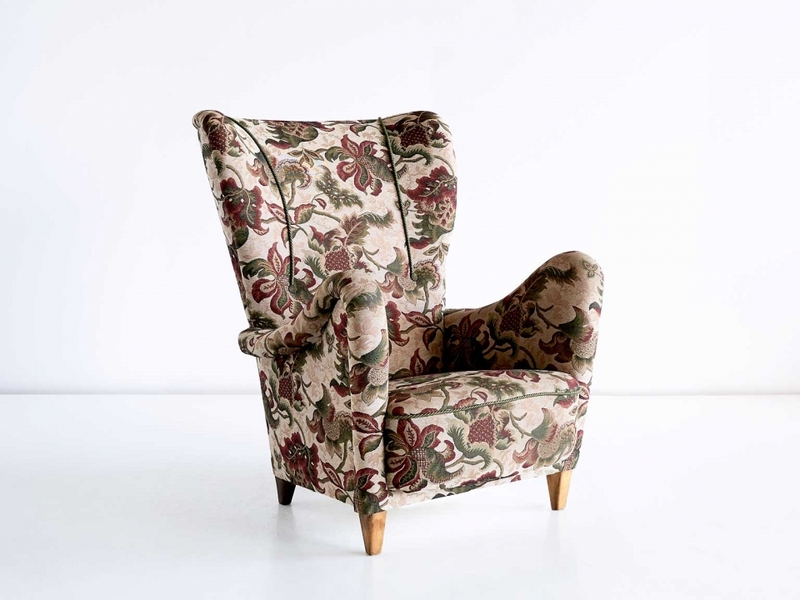 The chair and the original floral upholstery are in a good condition. If desired, it can be reupholstered in the fabric of your choice. Please contact us for the possibilities.